(also a great piece of ‘photo-bombing’ by Bill and Cam). The ladies this week decided to test their friendships as they headed out to play foursomes for The Australian Spoon. It’s always a very difficult format and again this competition was decided on countback. Beryl Corcoran and Sue Becksmith just managed to pip Sue Brown and Clare Partridge to it with 32 points. Well played ladies and happy to say that everyone’s still talking to each other. On Friday at the club we had a fantastic, informal evening hosted by our Snooker Lords ‘Crocky and Woodsy’. The speed snooker with the ‘Cheggers shot clock’ was hilarious and we even had a phone bid of £90 to the Captain’s Charity, for the final place on The Beast Golf Day at The RAC Club in July. Myself and Adam have qualified for the big day, as I’m sure you have all already seen on Sky Sports, the pro shop boys only managed to win the doubles! It was a great night, lots of fun and well done to all the winners. With the sun and rain coming down in equal amounts over the last couple of weeks, the growth has gone mad and the boys are flying round keeping on top of it and the course and the greens are now strating to look superb again. With this in mind we have decided to withdraw winter rules as of this Saturady. Notices and a stand alone email will go out to remind all golfers. There is now some a lot of conversation going on around the club regarding the NEW designs to the 18th green area. This is great as we on the course committee welcome all opinions and we discuss all feedback at the committee meeting. For those of you who havent seen them, the professionally designed images of what is proposed is displayed in the entrance hall. One area of concern is how much of the left hand bush is proposed to be cut back, so as you can see from the picture below, I have clearly marked the 2.5m distance. Please email me your thoughts at stuartwalker@epsomgolfclub.co.uk and they will be passed on and discussed at the next couse committee meeting. Come and enjoy great day at the club just a stones throw away from the race itself. We will have bubbly on arrival and all the races on the big screen with an on-site bookie if you fancy a flutter. A lovely buffet lunch will be served followed later by an afternoon tea. Spaces are running out fast so please head to the entrance hall to add you and your guests names to the list. 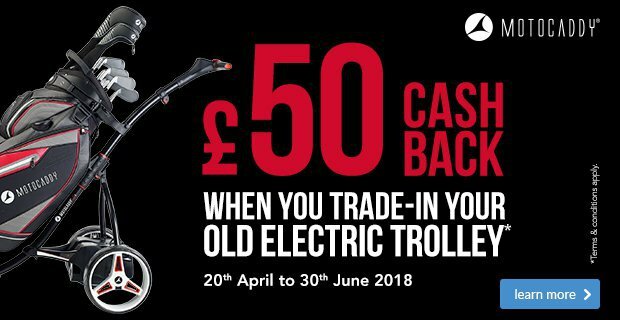 £35 per head. Traditionally we have always been closed all of Derby weekend, but this year on the Sunday we have seven holes open. So we have decided to host a brand NEW competition. Going round twice over the seven holes, there will be two different tee positions and two different pin positions, and just to warn you on the second time round, a few of the pins may be a little tricky. This is an individual stableford event open to ALL members. It will be a shotgun start at 9:45am and will be the normal £5 entry fee. So if you’d like to enjoy this NEW format please head to the men’s competition board and add your names to the list provided… should be fun! I can’t believe that our flagship event is already only a month away, the members entry sheet is filling up nicely on the men’s competition board with only a few spots left. Member’s teams only have to contain one member, so a great opportunity to invite up a couple of friends for a fantastic day of great golf (hopefully), great food, great prizes and fingers crossed celebratory drinks. Members team - £180 payable in the office of behind the bar. If you have a group of non-members who would like to enter a team, they would be more than welcome at £270 per team. Please contact me and I will send them an entry form. These events are pulled together by a real team effort and if you would like to volunteer to help out in either preparation the day before or actually on the day please contact Roger Wildig (rwildig@yahoo.co.uk). You will be suitably fed and watered for your kind efforts. This weekend the temperatures are planned to go through the roof, so it’s time to get the legs out and hit the ‘Summer Wardrobe’, but if when you get there it looks a little in need of a freshen up. Then its time to pop into the pro shop and grab some of the NEW Under Armour summer collection, we have shorts, golf shirts, caps and ankle socks (White ones only as per our dress code). 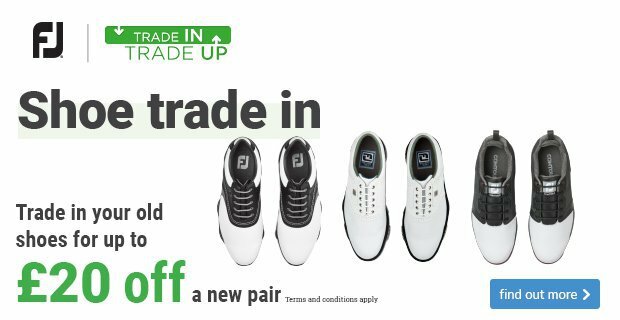 We also have a great range of spikeless summer golf shoes, the range includes FootJoy, Puma and Under Armour. If we don’t have your size we can get them in a matter of a couple of days. Six 30 minute sessions, including video analysis and studio time. Package also includes five 20 minute practice sessions in the Swing Studio on the GC2 simulator - £150. Call or email me to book your FREE assessment session. Guarantee grip and protection with this Under Armour Fade RST shoe. 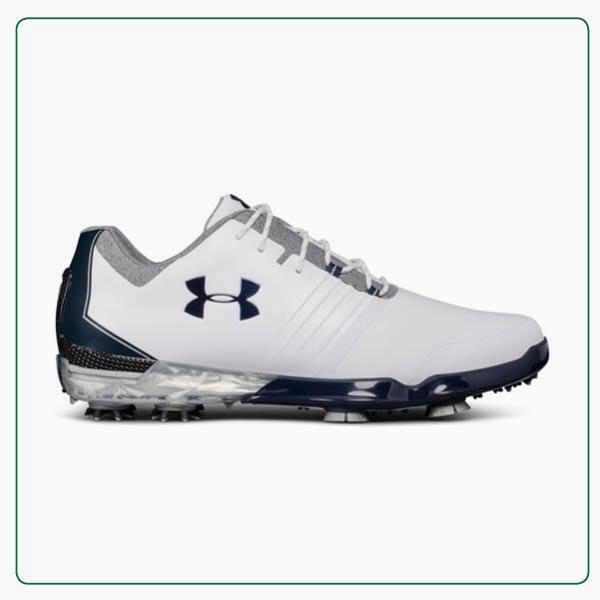 It’s made with a Clarino microfibre material that provides a lightweight waterproof membrane to keep you cool and dry, while Under Armour’s Rotational Resistance cleats provide reliable traction in every direction. 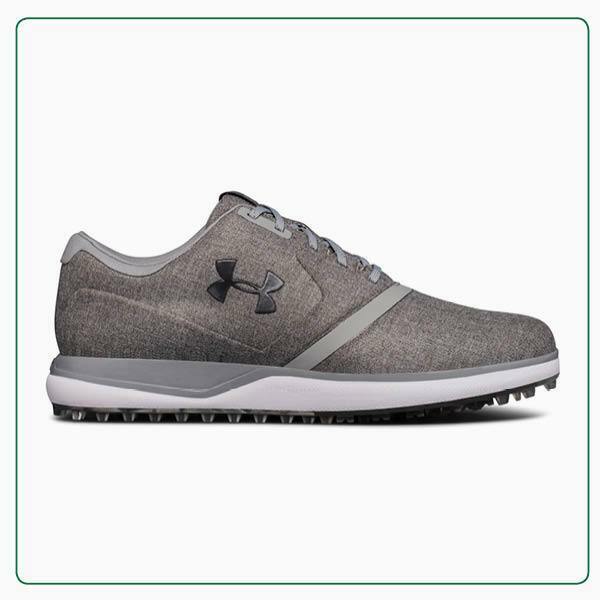 If you’d like to add off-course versatility to your shoe options so you can go straight from work to the course, this Under Armour Performance SL Sunbrella is a popular option. 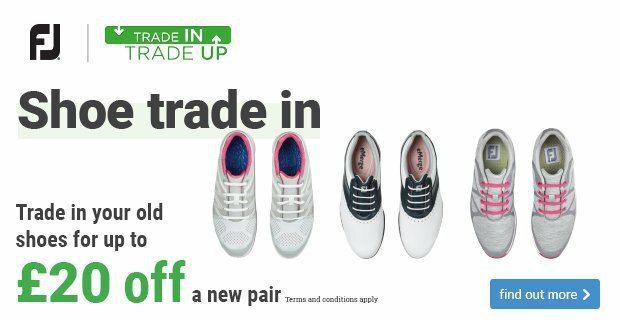 Its casually styled upper repels water, plus its spikeless outsole feels light and flexible without compromising traction. 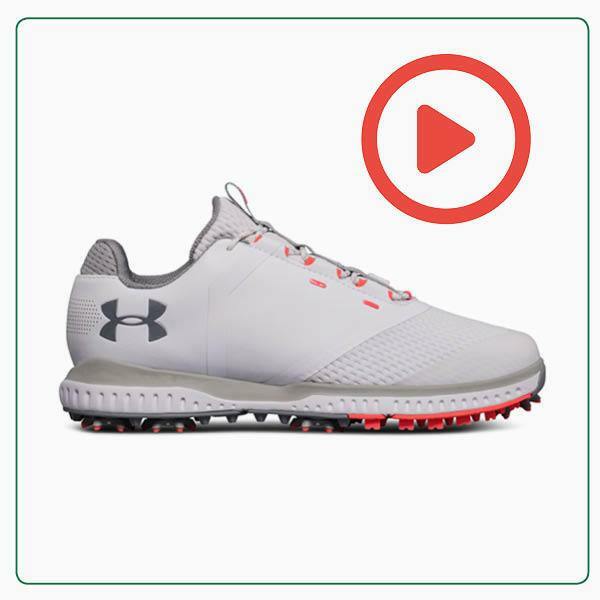 Follow in the footsteps of Jordan Spieth and try this Under Armour Spieth 2. We’re big fans of its unique two-tone look and 100% Gore-Tex waterproof uppers, plus we love the Rotational Resistance spikes that provide reliable traction in every direction. 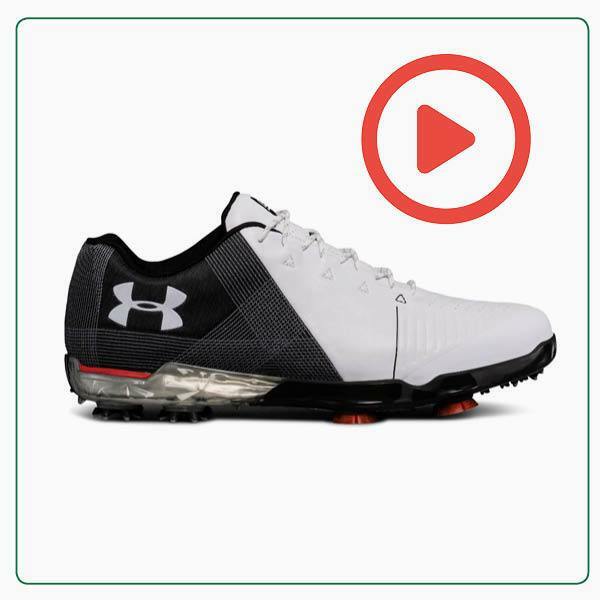 If you prioritise comfort, we think this Under Armour Match Play shoe should be on your list to try. It’s made with a Clarino microfibre material that’s lighter and more durable than leather, while its carbon fibre heel counter enhances the support you receive. 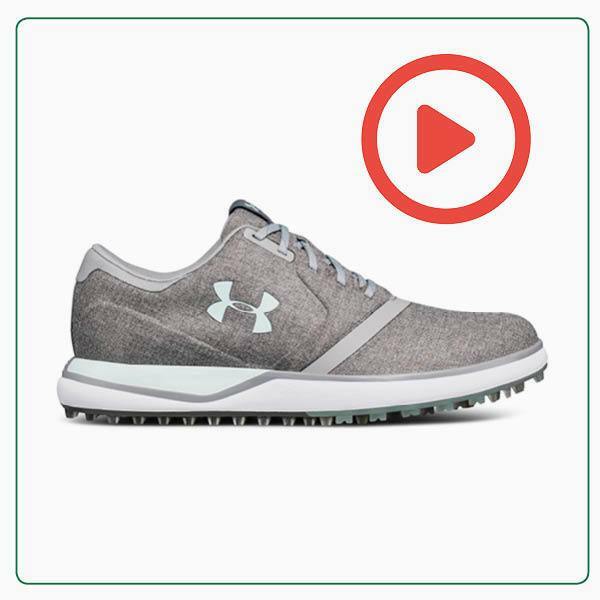 If you’d like to add off-course versatility to your shoe options so you can go straight from work to the course, this Under Armour Performance SL Sunbrella is a popular option. Its casually styled upper repels water, plus it has a lightweight spikeless outsole. 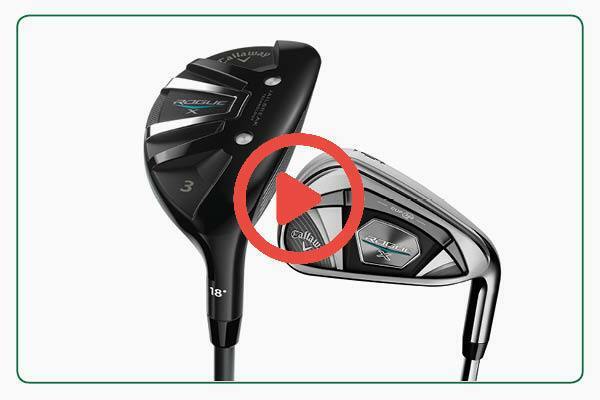 This week marks the start of a series of articles where we focus on making sure that you are getting the very most out of the clubs in your bag. A key way to do this is to look at your set as one, rather than breaking it down into woods, irons and wedges. As you know, we’re big advocates of custom fitting for golfers of all standards. 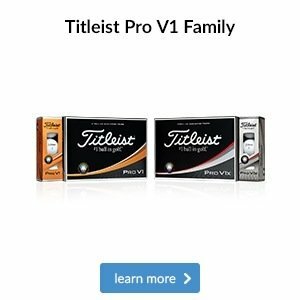 Many of you have taken advantage of this and are now hitting the ball further and straighter than you ever have before. 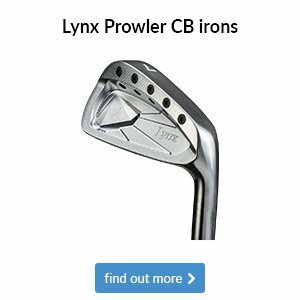 While this is fantastic, if you’re hitting your woods further you may have been left with a fiddly gap to your longest iron; likewise, if your new irons are a club longer then you will inevitably have a gap after your PW. It’s only by looking at your set as a whole that you’ll be able to spot and react to any gaps, meaning you’ll have a club for every shot you could face on the course. 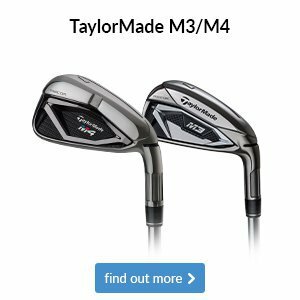 If you’re a fan of Callaway like us, you’ll know they offer a great range of clubs to ensure you’re never stuck for options. 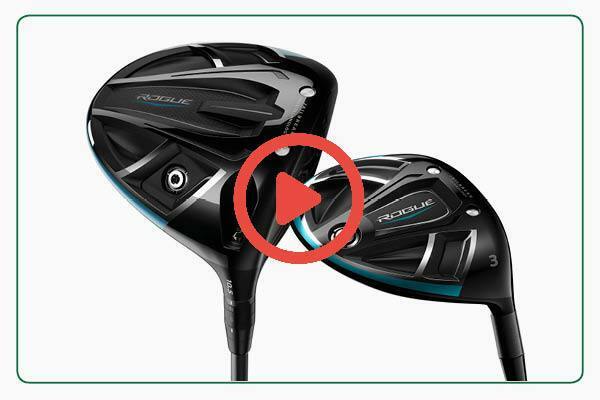 Their women’s Rogue driver and fairway wood offer powerful and forgiving flights, while the Women’s Rogue hybrid comes in 21 degrees to 36 degrees so we can perfectly gap your long game. 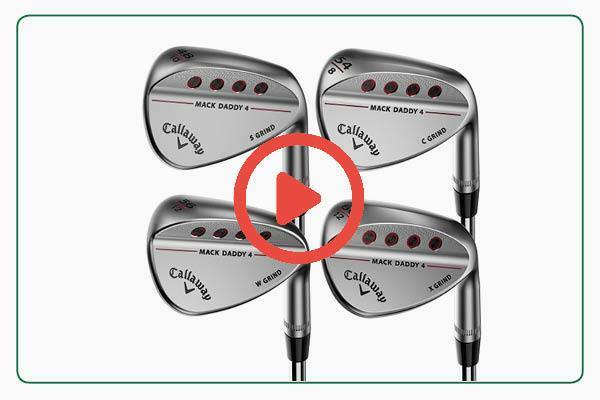 Callaway also offers a range of iron models for you to try and their Mack Daddy 4 wedge comes in nine lofts between 46-64° so we can create the best set-up possible during a fitting or gapping session. The myth that custom fitting is only for better golfers couldn't be further from the truth. 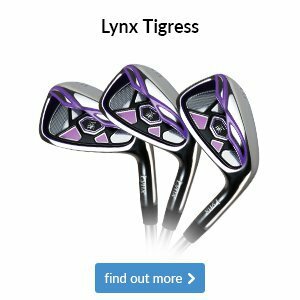 Whilst the very best are looking for that extra 1%, a custom fitting for the average lady club golfer regularly produces results that even surprise us! Make 2018 your best golfing year yet by getting in touch via the button below. 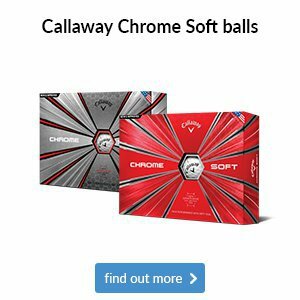 If you’re a fan of Callaway like us, you’ll know they offer a great range of clubs to ensure you’re never stuck for options. 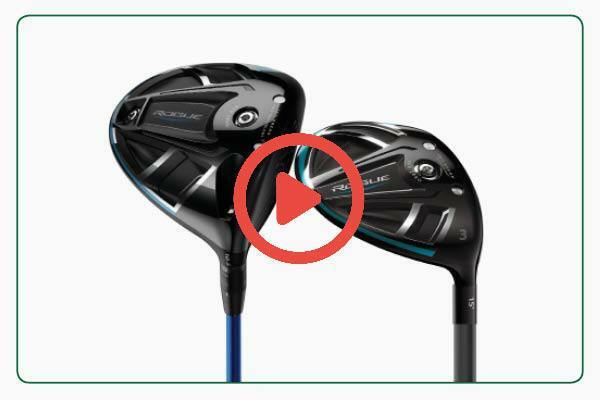 Their Rogue Sub-Zero driver and fairway wood offer powerful and penetrating flights, while the Rogue hybrid comes in 17° 2H to 27° 6H so we can perfectly gap your long game. 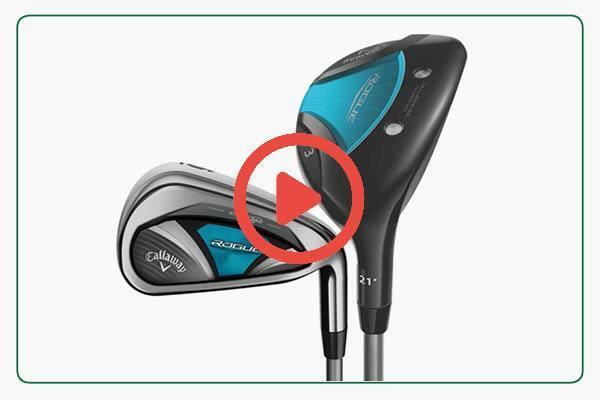 Callaway also offers 12 different iron models for you to try and their Mack Daddy 4 wedge comes in nine lofts between 46-64° so we can create the best set-up possible during a fitting or gapping session. The myth that custom fitting is only for better golfers couldn't be further from the truth. 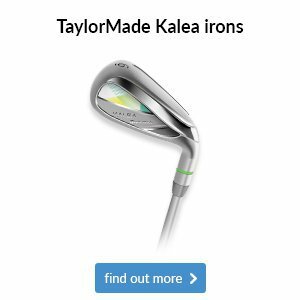 Whilst the very best are looking for that extra 1%, a custom fitting for the average club golfer regularly produces results that even surprise us! Make 2018 your best golfing year yet by getting in touch via the button below. 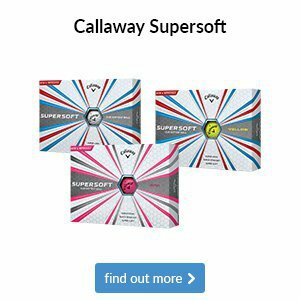 If you’re a fan of Callaway like us, you’ll know they offer a great range of clubs to ensure you’re never stuck for options. 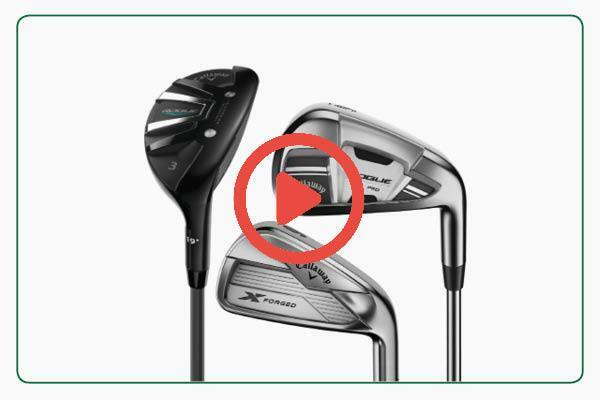 Their Rogue driver and fairway wood offer powerful and forgiving flights, while its Rogue X hybrid comes in 18 degrees to 32 degrees so we can perfectly gap your long game. Garmin has been one of the best-selling GPS brands in the golfing market for several years now, and their newest product looks set to continue that trend. 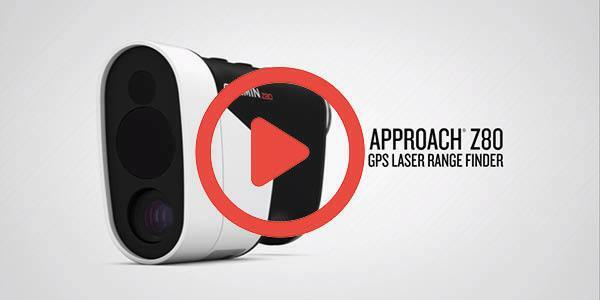 The Approach Z80 is Garmin's first ever laser. Not only does it provide accurate distances to your target, but the Z80 also shows distances to the front and back of the green as well as hazards thanks to its GPS capabilities. A laser like no other.